& The A.MA Orchestral Ensemble. 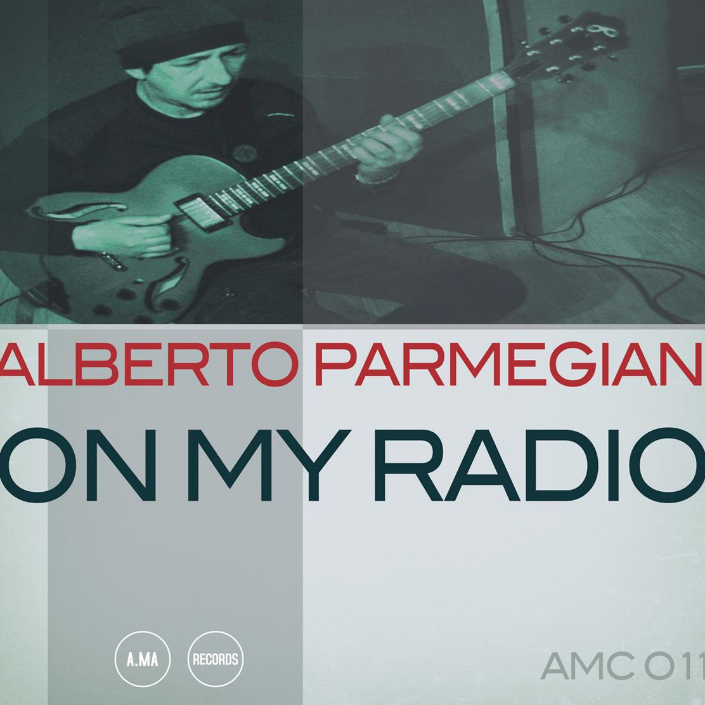 Alberto Parmegiani's New Album "On My Radio"
"..And Alberto throughout the record shows himself to a very nuanced modern guitar player. His subtle tone changes from tune to tune create just the right amount of sonic adjustment to let the music speak dramatically. His concision reflects a maturity and his use of space and control are attributes of an experienced musician. 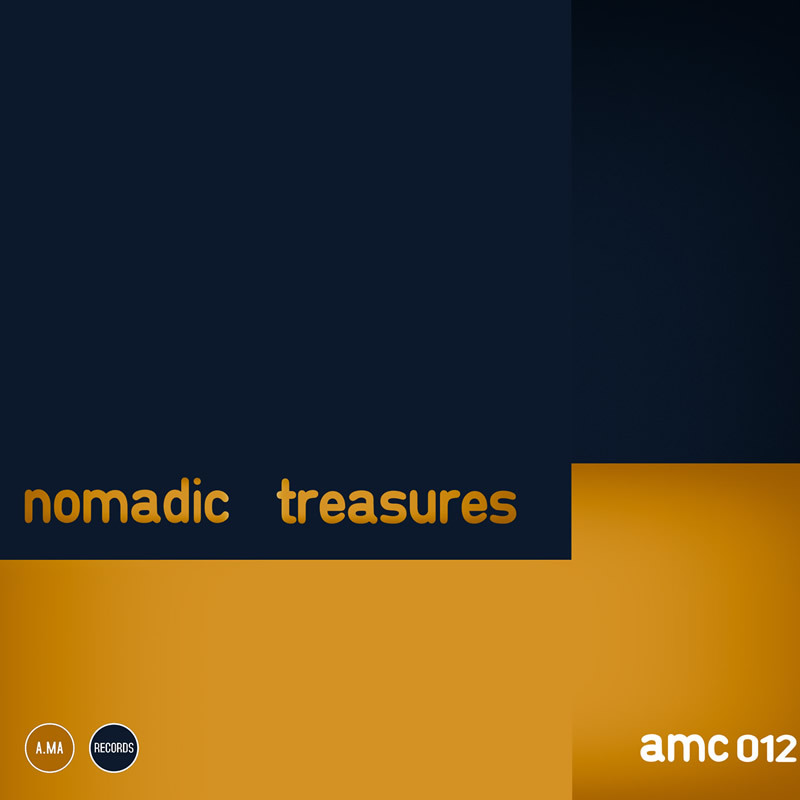 "Nomadic Treasures’ collective sound is the result of years of traveling and combines sounds from all over the world, from Western classical music and American jazz to Jewish and traditional folk music from North Africa." 'And The Beat Goes On' was a famous hit for The Whispers at the end of the '70s. Other times! An epoch when disco music entranced its devotees in clubs world-wide. Many have associated the song with a superficial existence of glamour and champagne, but fewer have understood that tempo and beat are as essential to black music as cellular respiration is to organic life.? ?Beat has been the life-blood of black music since ancestral times, in African music, in jazz, in blues, and is that essential component which, correctly used, animates 80% of the musical production of the second half of the last century. Hip-hop, reggae, R&B, and more recently dubstep and trap all owe their power to beat. ? ?Beat is the starting point of Francesca Sortino's music. If you didn't know that Francesca lives in Rome and that her story is rooted in jazz, you could easily imagine that the music of this album was created in a studio in Los Angeles or Miami. In reality 'Be Free' was born in the Italian south between Rome and Bari, through the encounter of a group of cutting-edge musicians. A modern work in which love for jazz blends with the diverse world of black music (mention of the name Erykah Badu will help to explain), where the use of electronics never loses sight of musicality.? ?For Francesca and her companions on the journey the beat still goes on. Francesco D'errico elettroacustica on "little sunflower", "Intro", "let the rain"
Nikaleo: Voice on The ring Was Lie, 5 O'clock, Our Fault, Wasted Time, Next Move. Enzo Bacco: Tenor & Soprano Sax on Vintea, Our Fault, Next Move, Dear T.
The summer of love? It was perfect . . . for two weeks." So said Paul Kantner, who together with Jefferson Airplane was one of the bards of the period. Of that 'state of mind' not much remains: a handful of songs, some TV spots, the stripped walls of Haight-Ashbury's Victorian houses where bloomed San Francisco's exotic, acid-fuelled culture. But now, after fifty years, here and there in the Western world there are signs of a revival.â€¨It won't be easy to recreate Allen Ginsberg's 'flower-power', with its ideals of non-violence and counter-culture, at a moment in history dominated by social media and X-Factor.â€¨What is sure, however, is that the music of that period, with its rule of not having rules, continues to influence those who want to keep on dreaming, shunning stereotypes and superficial trends. 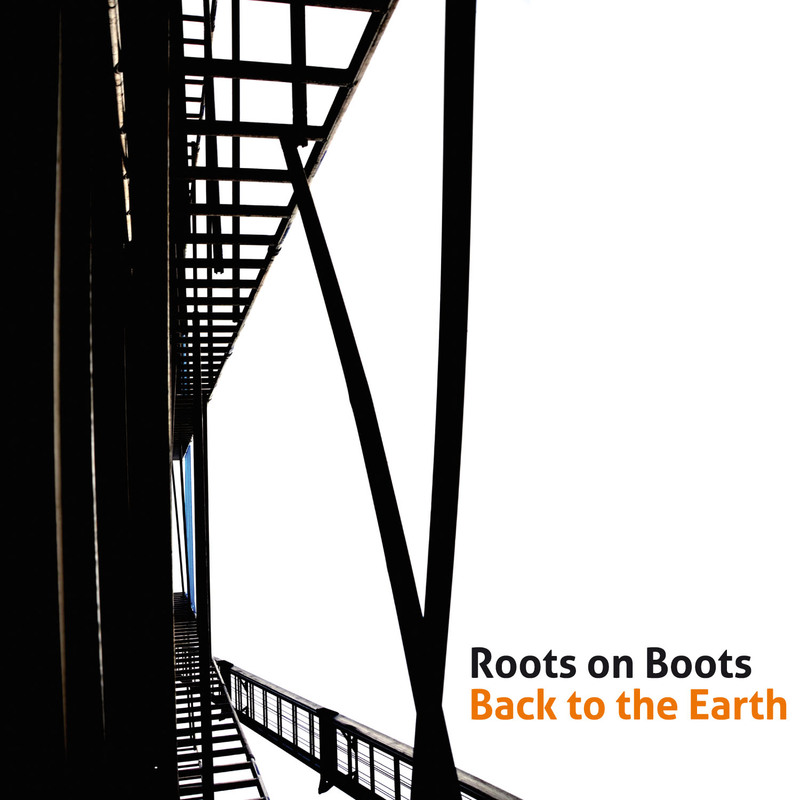 So if we need to label Paolo Achenza and his band's new album, 'Branches', we must recall the ideal of shared musical meaning, something that goes beyond the simple rehearsal of superficial aesthetic attitudes and recreates a sense of mutual involvement. Some may think that the funk of this album has no connection with the sound of the sixties, forgetting that on December 20, 1966, Otis Redding enchanted the young hippies of Fillmore with his voice. What is important for Paolo Achenza is the spirit of those years; the poetry of Richard Sinclair's voice (Caravan, Hatfield And The North) in the title track and the sitar of Francesco Walsh in Solar Whip are evidence in sound of what we want to express. The rest of the album is pure energy. Listening is believing! 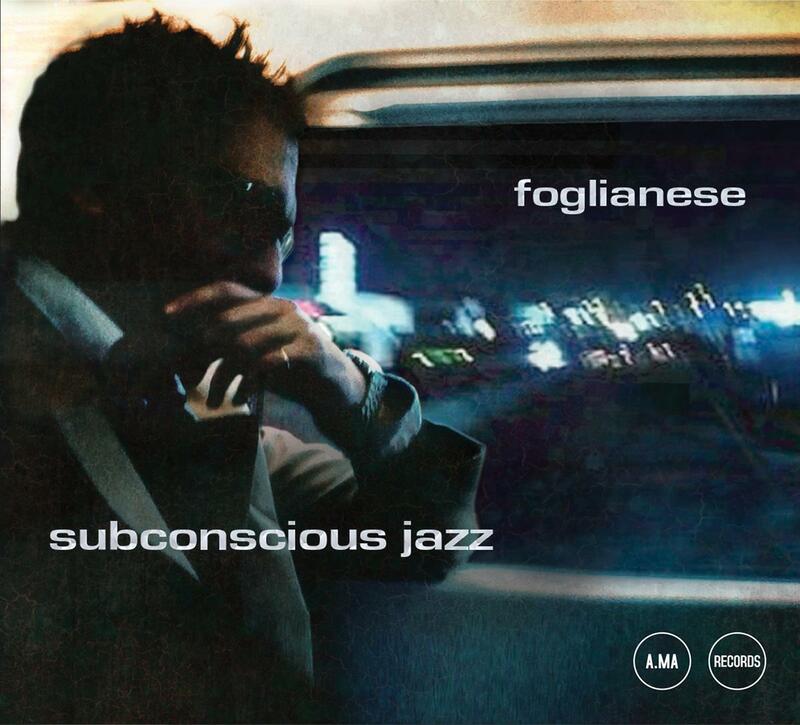 This album is dedicated to Paolino & Caterina and all the branches of our lifes. Paolo Achenza 4 Plus and A.MA Records Thank Richard Sinclair for his precious help and longlasting friendship. 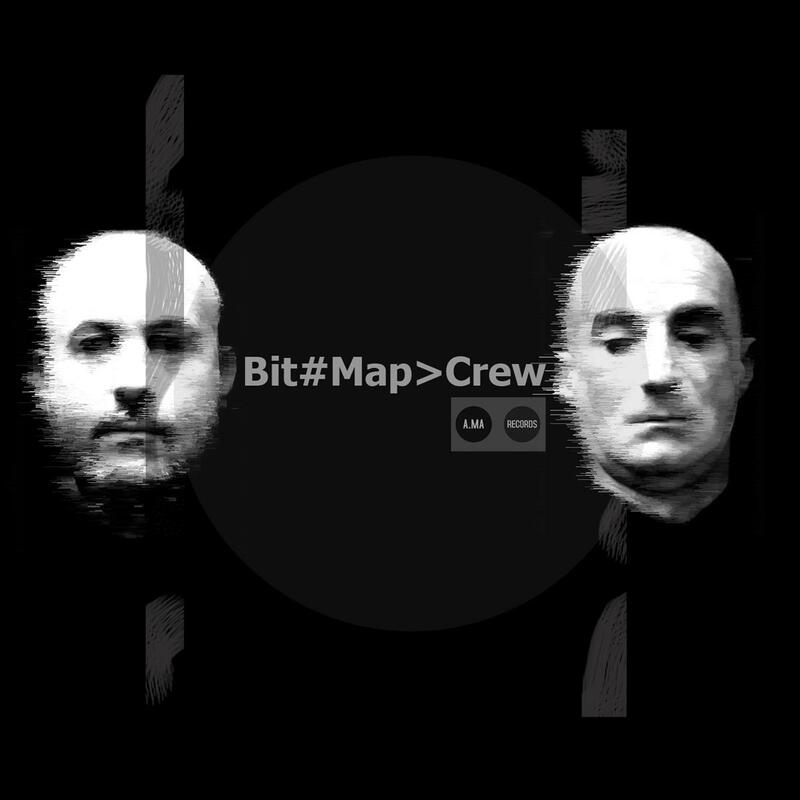 Together with Alberto Parmegiani and Nikaleo. A Special thank goes to Umberto Calentini, Enzo Bacco and Tullio Ciriello for their patience. 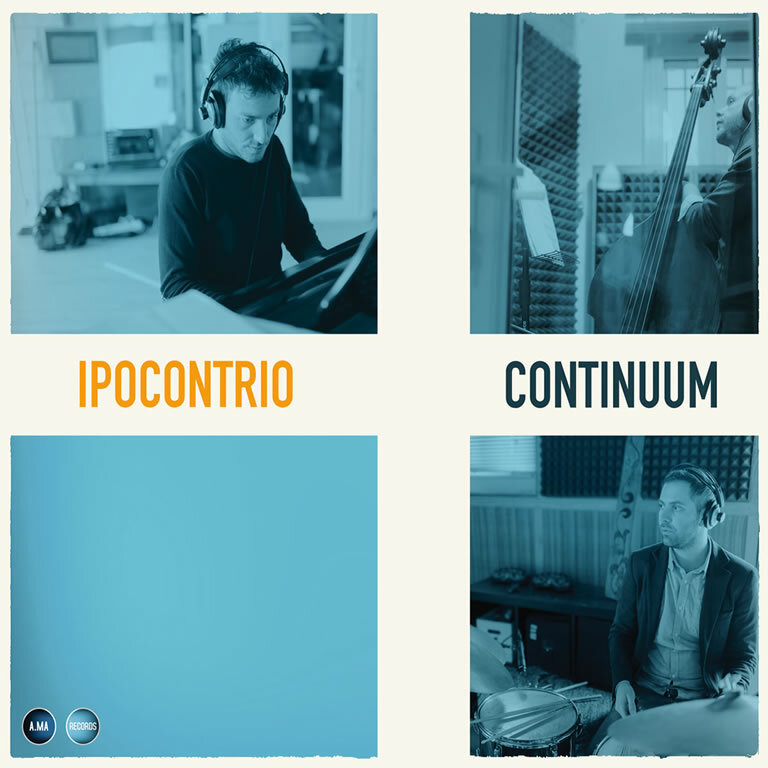 The Ipocontrio project dates back to 2009, when 3 musicians of the Salerno area (South Italy), Bruno Salicone (Piano), Francesco Galatro (Double bass), Armando Luongo (drums) met and decided to put togehter a trio to play their own music. 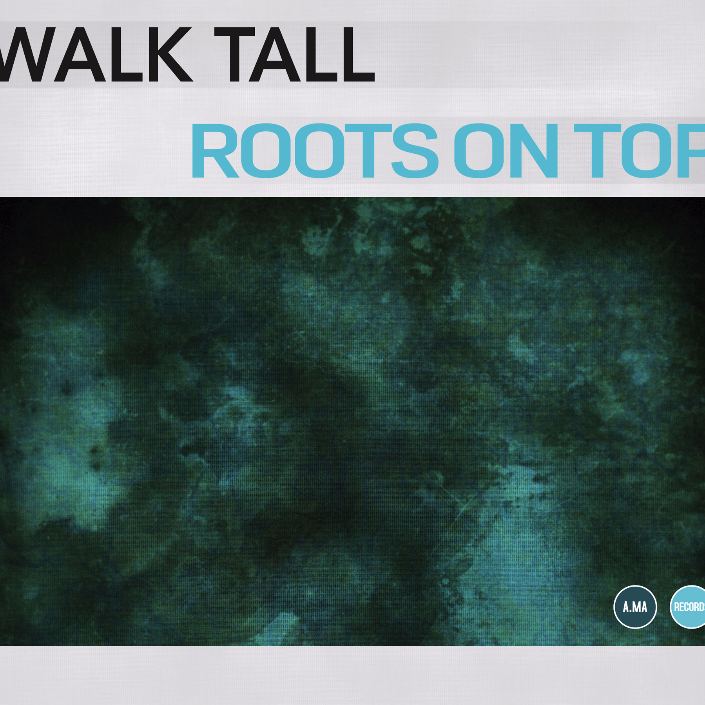 The main feature of their music is the love for jazz and improvisation. Their music merges in a very personal sound that moves in a continuuos interplay between the soulful melodic lines drawn by the pianist Bruno Salicone and the swinging rhythm section. St.Louis Jazz College of Music. Their first Album “The Beginning of A Love Affair” is released in 2011 and produced by St.Louis Jazz Collection. Following the release, the trio has the opportunity to play concerts all over Europe playing with musicians such as Jean-Paul Estievenart (Django D’or 2006), Frank Vaganée (Brussels Jazz Orchestra), Hugo Contini, Filippo Bianchini, Kenny Jeanney (The Amazing Keystone Big Band), Phil Abram (Marceo Parker). This international experience becomes a source of inspiration that leads them to experiment new musical compositions and write more music. 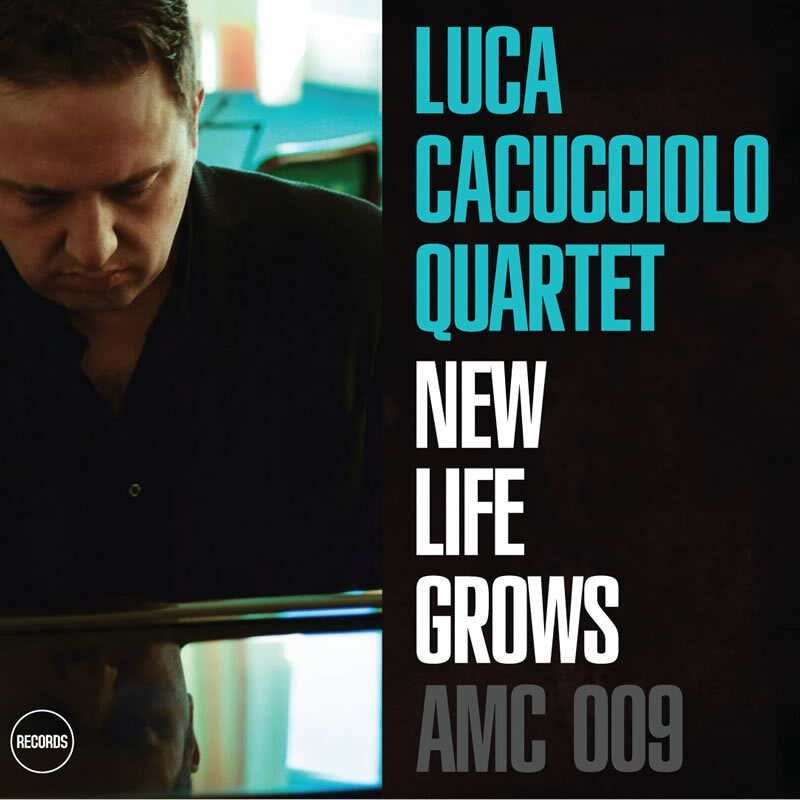 In 2013, the drummer Armando Luongo meets in New York the trumpet player Alessandro Presti (Critics Prize Massimo Urbani 2014) and this encounter will conceive the band second album “Coontinuum”. This Album shows that these musicians know well the Afro-American lexicon, they know how to swing and their music is fresh and charming, always performed with a fine tecqnique. The recording is enhanced the presence of Alessandro Presti on trumpet on all tracks and Daniele Scannapieco on saxophone on two tracks, these two superb and well-known italian musicians complete the trio sound in a blend of compelling soulful swinging jazz. 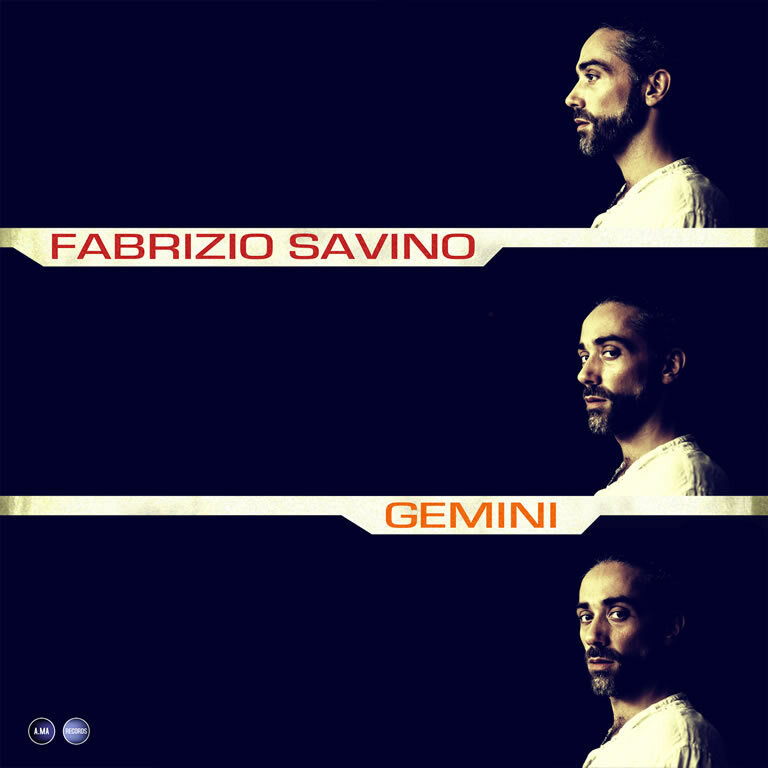 Gemini, Fabrizio Savino’s new album, marks a significant step in his artistic career. 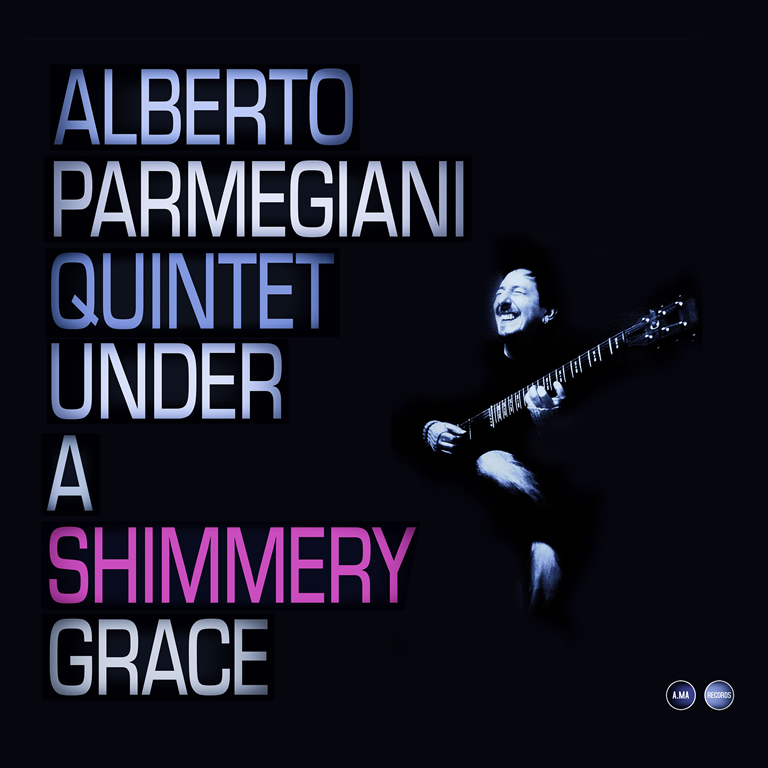 It is the final destination of a creative path that started with a quintet in his first recording, “Metropolitan Prints”, continued with a Quartet in the Album “Aram”, and finally to achieve 2016′s “Gemini” where the choice of utilizing a guitar trio allowed Fabrizio to express his very authenticity; it reveals his deepest emotions through his unique technical equipment, together wih his original skills as a composer. Gemini is direct and intimate and the listener can immediately feel Fabrizio’s complete devotion to his instrument that clearly states the distinctiveness of his music through a personal sound that is, at the same time, delicate and solid, gentle and deep. The virtuosity of his instrument never clouds his melodic development and clarity of structure. The charm of his music cannot be denied and always unveils new surprises. This is the reason why Gemini marks a departure point in Fabrizio Savino’s career, in that his capability of describing intense personal emotions continues to seduce us, ever waiting for his next surprise. 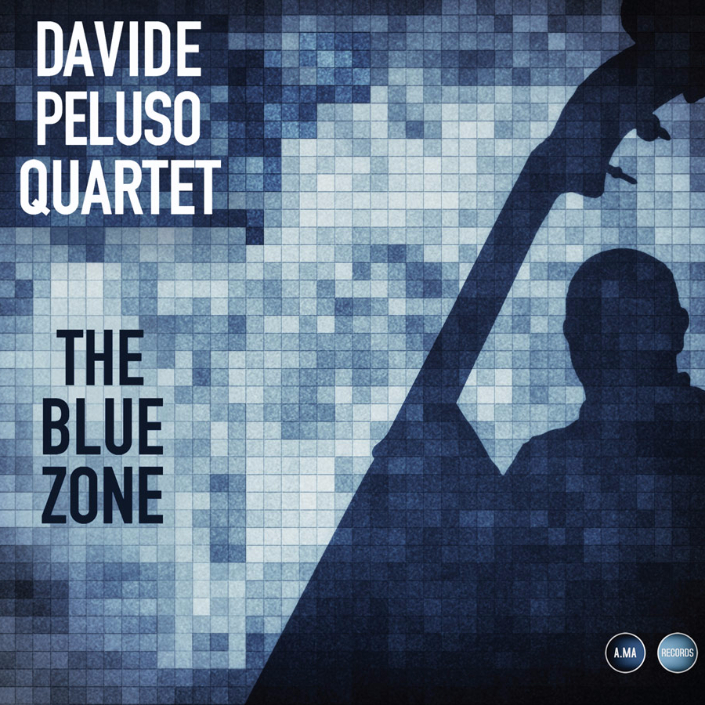 On this album, Savino is accompanied by two fine musicians: Luca Alemanno on double bass and Gianlivio Liberti on drums. There is considerable empathy between the three musicians and there is never any doubt that they are bound together in one musical dialogue. Alberto Parmegiani "Under a Shimmery Grace", led by master electric jazz guitarist Parmegiani, and supported by a superb lineup in alto saxman Gaetano Partipilo, pianist Enrico Zanisi, bassist Francesco Ponticelli, and drummer Enrico Morello, “Shimmery Grace” offers a gem of a recording that smolders and delights on seven original tracks and one Wayne Shorter cover, in both classic and contemporary jazz styles. Parmegiani’s guitar moods recall the sweet sounds of Wes Montgomery and Billy Bauer, and when paired with soaring and inventive alto sax solos from Partipilo, intelligent, gorgeous, gentle, and appropriately-timed piano comping from Zanisi, and unwavering rhythmic tightness from Ponticelli and Morello, the effect is a flawless time machine, headed straight back fifty years to some delicious listening on the ‘hi-fi’. However, as the album was recorded in late 2014, it’s the modern-day successor, beautifully poised to match and compliment the Blue Note, Prestige, and Verve recordings that have since become legendary. Unstuck In Time. 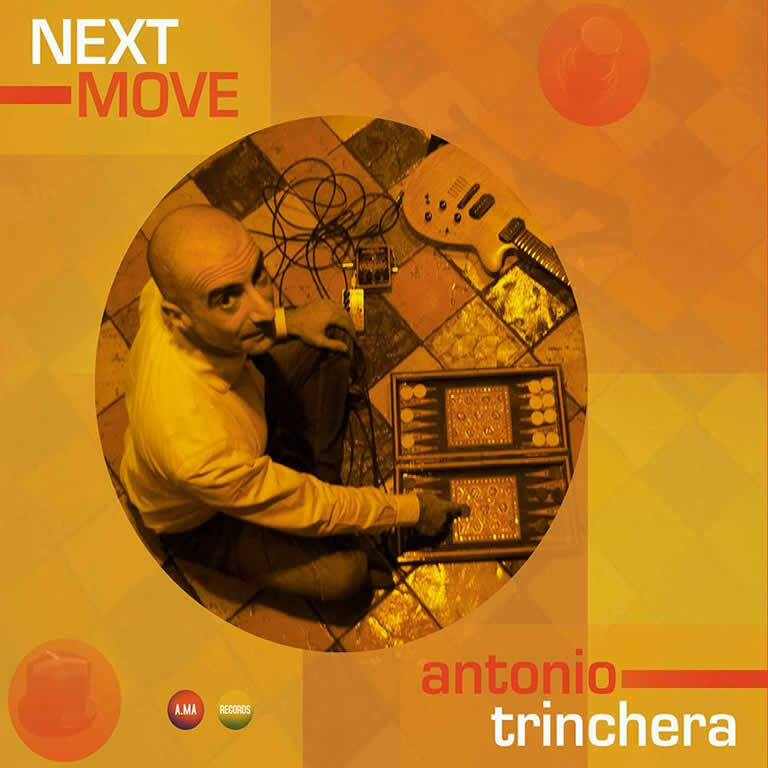 The New Motion Collective Album Written and produced by Gerardo Frisina. 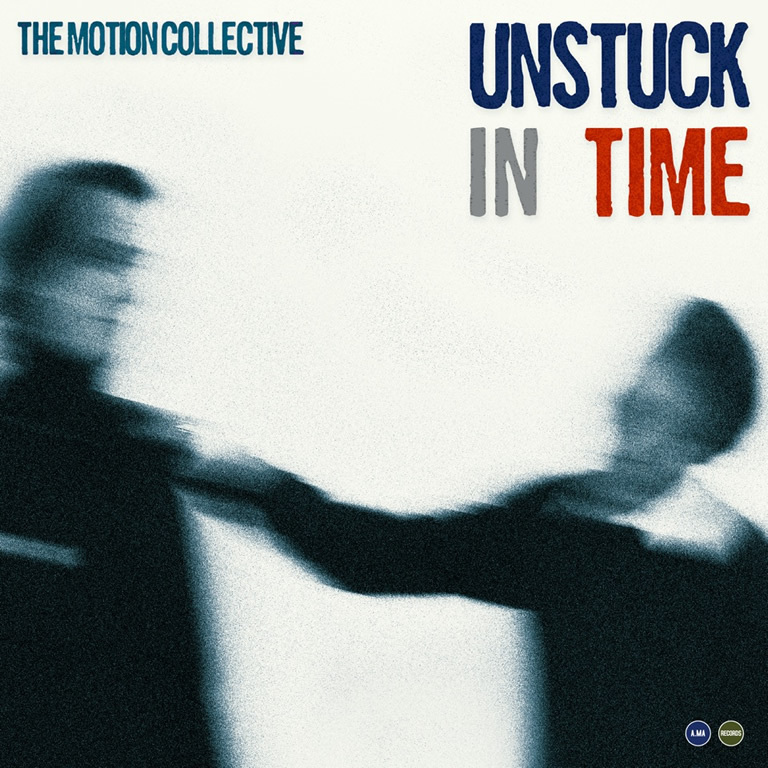 “Unstuck In Time” is the new recording by the Motion Collective for A.MA Records, written, arranged and produced by Gerardo Frisina, after the debut EP “Burak” released in 2014, of which it is the natural continuation, enhancing the original inspiration. There are varied moods, drawing from different musical styles to blend a single sound message where love for music of the past mingles with electronics, to recreate itself in a modern idiom. Unstuck in Time is indeed the meaning of this record. Just as Bill Pilgrim, the protagonist of Kurt Vonnegut’s beautiful book “Slaughterhouse-Five”, moves back and forth in time, in the same way the compositions of Gerardo Frisina are the summary of a profound reflection on music, which moves expertly among all musical genres to create a perfect distillate with a unique and distinctive flavour. Gerardo skilfully directs a capable group of musicians that not only fulfills his ideas but also instils the music with each musician’s own artistic sensitivity. In this journey through time on the planets of Soul, Jazz, Latin Music, psychedelia and electronics, the foundation is rhythm. Rhythm is what distinguishes all of the music of Gerardo Frisina, since the beginning of his recording and producing career, and this new work is no exception. “Velvet Spear”, “ Enfarte Musical” and “Zagara (Una Mas)” find their inspiration within the Brazilian sound-world without any of the of the obvious clichés of that genre, moving forward enriched, followed by the soulful “Into You” and the sensual and dreaming mood of “Unstuck In Time”, through the psychedelic and voodoo flavour of “Enchanting Drum” and “Voodoo Lust” to reach tomorrow with “Angels “ and “Hoverin’”, where the electronic adventure finds its full realization. All we can do is to jump aboard the time machine and start the journey together with The Motion Collective. Paolo Achenza is back! His last recording goes back to 1996. A long period away from the musical scene, but notaway from the music that continues to be the lifeblood of Paolo’s spirit; and today, with the same hallmarks of spontaneity and freshness shown before, he offers a more conscious and mature sound in the new single issued by Italian label A.MA Records. Paolo’s new band has Umberto Calentini on bass, Roberto Lagattolla on drums and Vito Cascella on percussion, plus important guests such as Gaetano Partipilo on saxophone and flute, Claudia Marrs on vocals, Diosvany Hernandsz Marino on trumpet and Enzo Bacco on tenor saxophone. 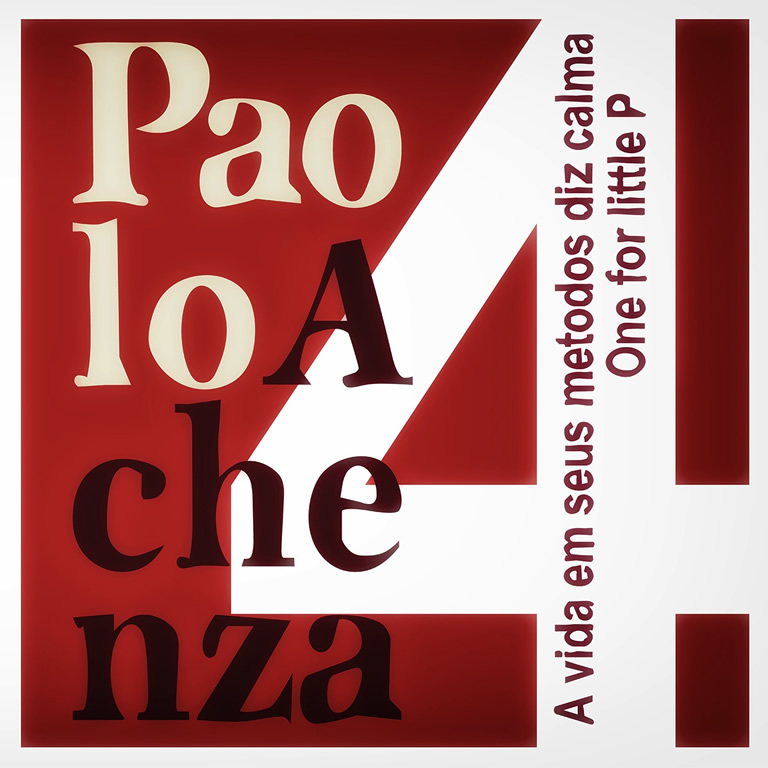 The single presents a cover of the exciting song of the Brazilian singer Di Melo “A Vida Em Seus Medotos Diz Calma” revisited in a modern vein plus an original entitled “One for little P”. 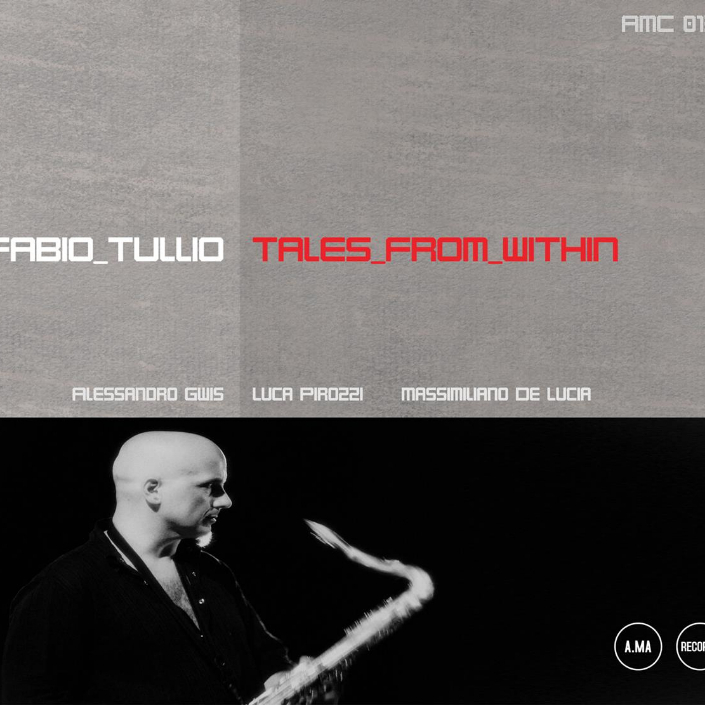 The result is a perfect blend of funk and soul jazz that has been Paolo’s distinct trademark since the beginning of his career.All of this under the careful and elegant direction of DJ/producer Gerardo Frisina who produced andarranged the single. An explosive comeback to herald the new album being released in 2015. Paolo Achenza 4 IS BACK!!! This is the first record issued by new label A.MA Editions of Bari, a mini lp with four tracks written, produced and arranged by DJ and producer Gerardo Frisina. Production is exclusively on vinyl but the music is not limited to the dancefloor. Each track has its own well-defined identity: Burak is characterized by ethnic rhythms evoking an intense atmosphere of oriental flavors. Blossom is the track that is closest to Gerardo Frisina’s past productions, with sound enhanced by the vocals of Brazilian Francesca Sortino and interplay between the flute and piano. On the AA side, Michael’s Vision displays striking jazz influence. 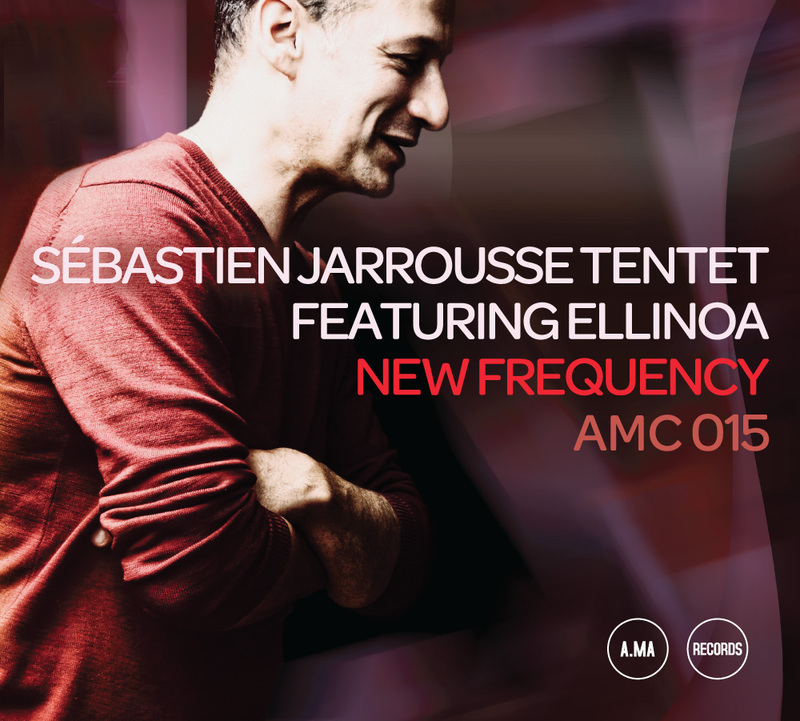 The atmosphere generated by strong rhythmic impulse is reinforced by the tenor sax improvisations of Germano Zenga and refined by the piano work of John Guerretti. In the Burak Jazz Version the track is embellished in a jazz style with soprano sax, electric piano and vibraphone, maintaining the original concept but creating a perfect listening experience. 2016 Ama Records. All rights reserved.